Talk about inspired and inspiring hymn singing and one name comes to mind—John Ferguson. 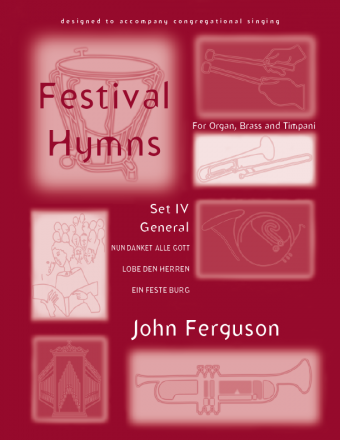 Through his hymn festival, recordings, and his numerous hymn settings, Ferguson has put a moving and thrilling song in the mouths and hearts of so many. GIA is privileged to publish much of this exciting music, including these eight sets of arrangements for organ, brass, and timpani. 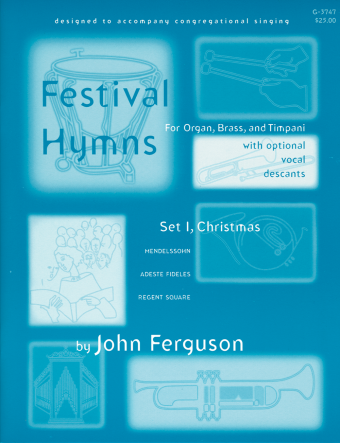 Each set contains a score for organ and parts for brass quartet—B flat or C trumpets, trombones—and timpani. The settings are intended to accompany the singing of the assembly from hymnals, but they often stand well on their own.